Karina's Kreations: Stitched Shapes Framelits Available today! Stitched Shapes Framelits Available today! 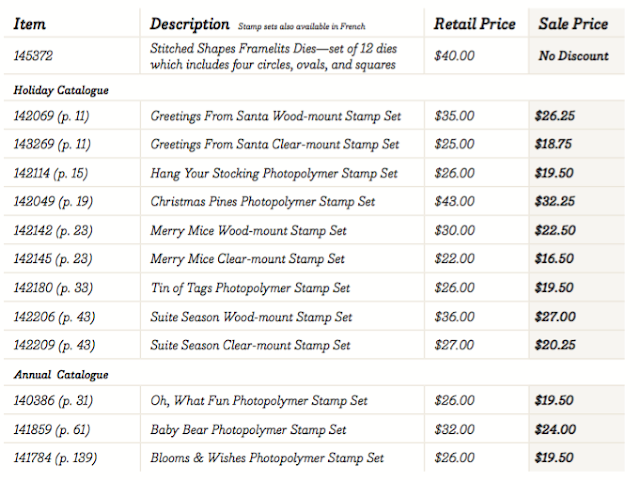 Stampin'Up has a brand new product available today called Stitched Shapes framelits. You get 12 dies in circle, squares and oval shapes. 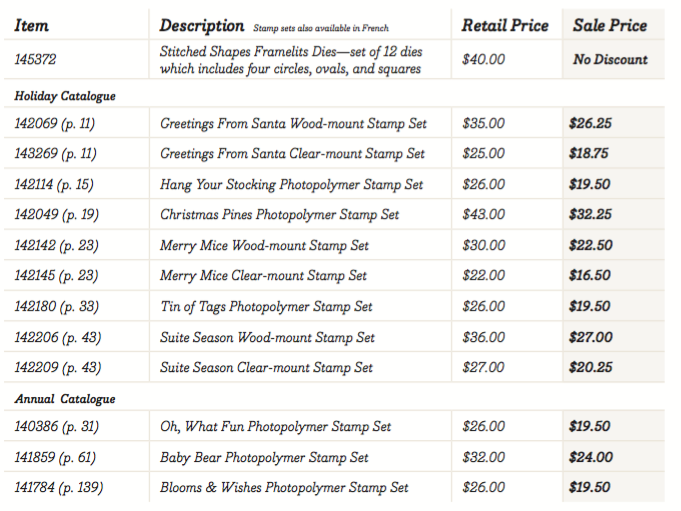 Stampin'Up has also put these great stamp sets on sale for 25% off. I'm placing an order Nov 1 and Nov 7th if you want these items. You can also place an online order here!